Though it is the most important meal of the day, breakfast is often forgotten or abandoned out of boredom with the same old dishes. Cold cereal, bland oatmeal and the typical scrambled egg can get old if you don’t mix it up. 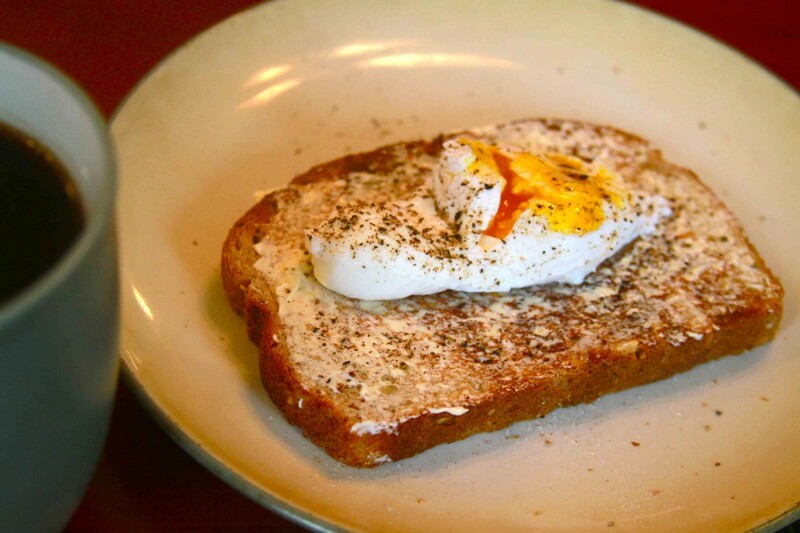 So we propose thinking outside of the cereal box—whether you’re looking to shake up your sleepy breakfast routine, challenge yourself, impress someone else, or just strike the perfect balance between hearty, comforting and classy, we suggest you look to the poached egg as the answer to all these desires. Poaching an egg comes with bragging rights (along with deliciousness). The careful timing and technique involved will dazzle your breakfast guests, but the thrill of biting into a surprisingly liquid bright yolk atop a bountifully buttered toast completes the star power of this dish. And there are few things better than a breakfast spectacle that tastes heavenly and keeps you full well into the day. Not surprisingly, it might take some practice to achieve the skill level necessary to create this delicate dish. It’s an art form as well as a science experiment, involving careful timing and temperatures to ensure that the egg stays intact and the texture stays ideal. It can be daunting, but with a cup of coffee and some determination, it’s an entirely do-able morning task. Using special insider egg tips, we’ve come up with the fool-proof technique you’ll need to master the art of the perfect poach. 1. Start by cracking the egg into the cup of vinegar, and let it sit for 5 minutes. 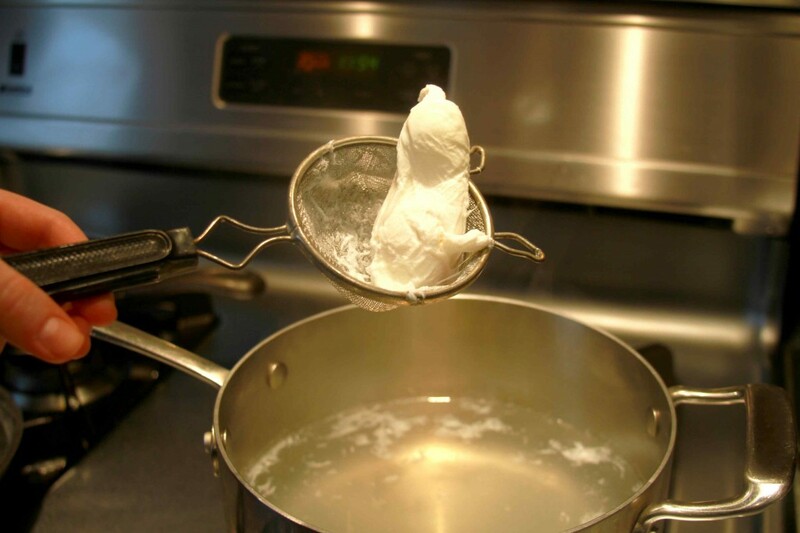 This allows the egg whites to firm more quickly, preventing them from dissolving when you boil the egg. 2. While the egg sits, heat a pot of water (2-3 inches deep) to a boil, then reduce heat to simmer. Using a whisk, spoon or spatula, make a whirlpool by quickly and constantly swirling the whisk around the edges of the pot. 3. When the whirlpool forms in the center, carefully slide the egg and vinegar into the center of the whirlpool. The whirlpool will help the egg white solidify into an oval casing around the yolk. 4. Cook the egg for 3-4 minutes so the whites are firm but the yolk still runny. 5. Use a slotted spoon (spoon with holes in it) to gently lift the egg from the pot, being careful not to break it. Use scissors to clip off flyaway egg whites, if desired. Serve the egg by itself, with salt and pepper, or atop a piece of buttery toast. After admiring your creation, dig in, and enjoy!